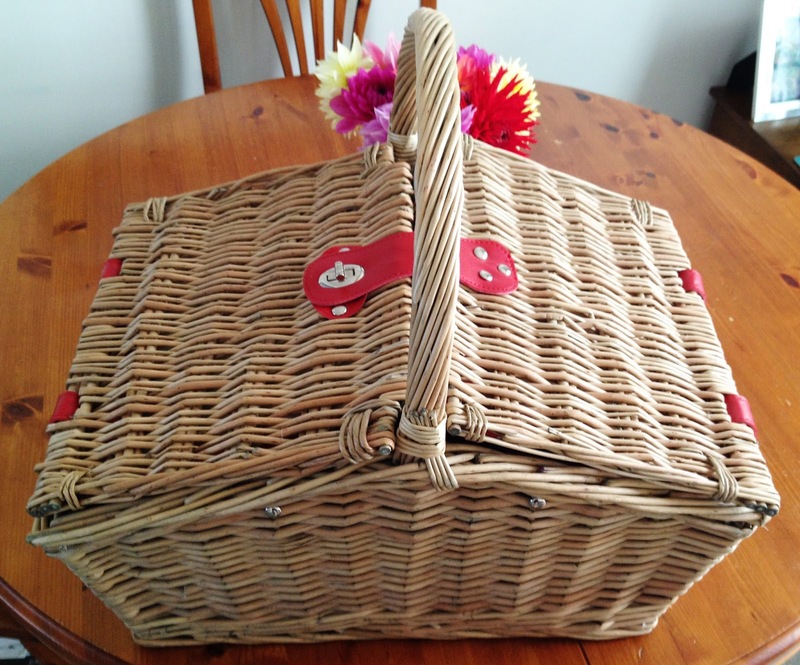 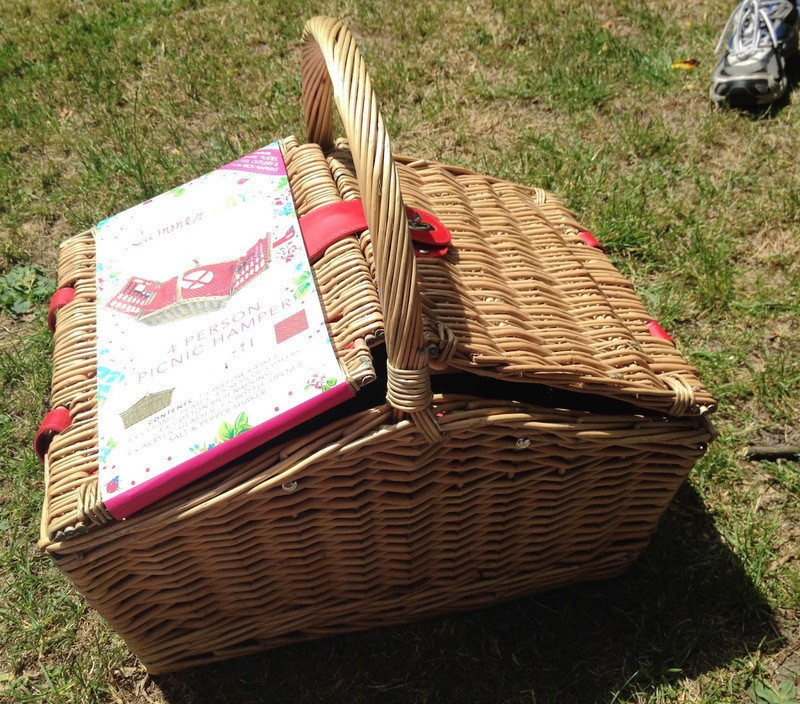 My boyfriend took me for a birthday picnic where he surprised me with my very own wicker picnic basket! 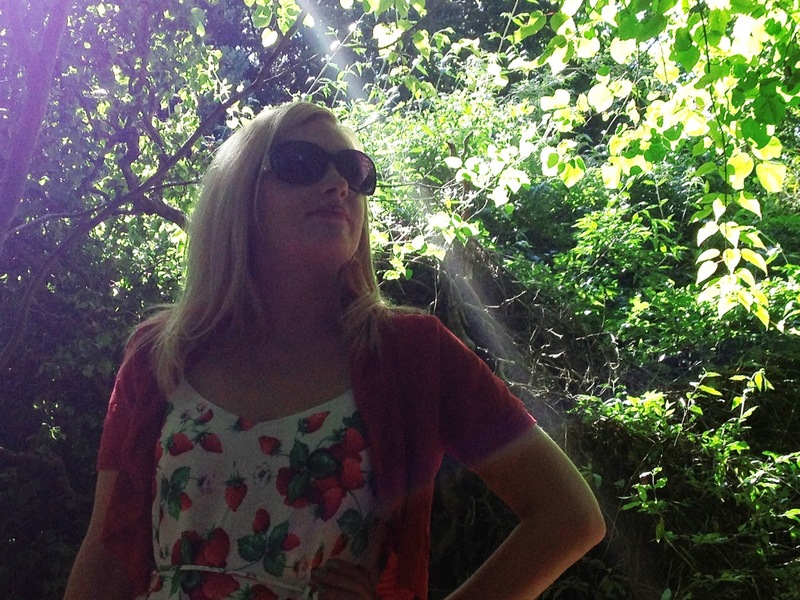 Something I've always wanted. 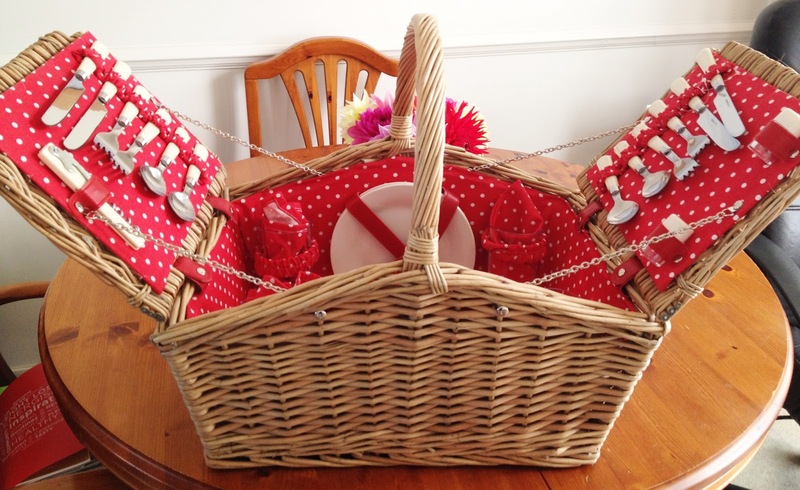 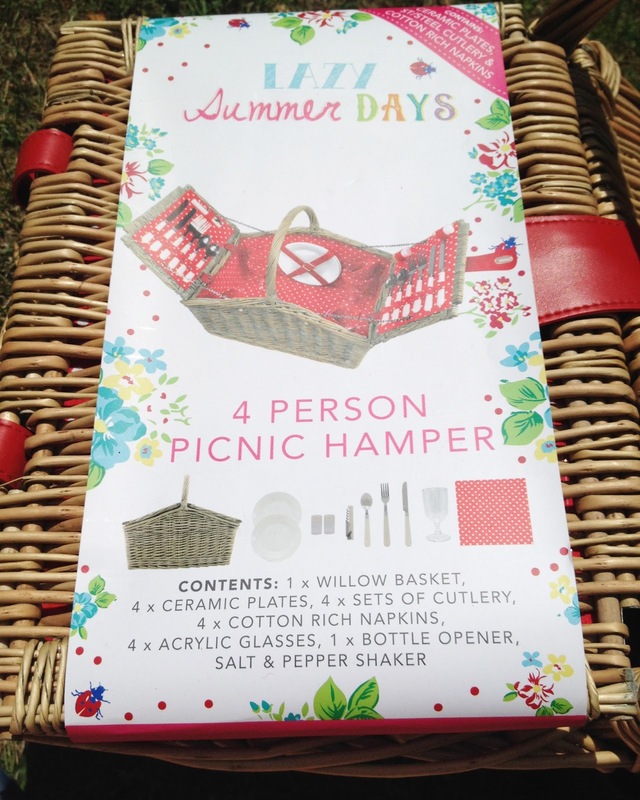 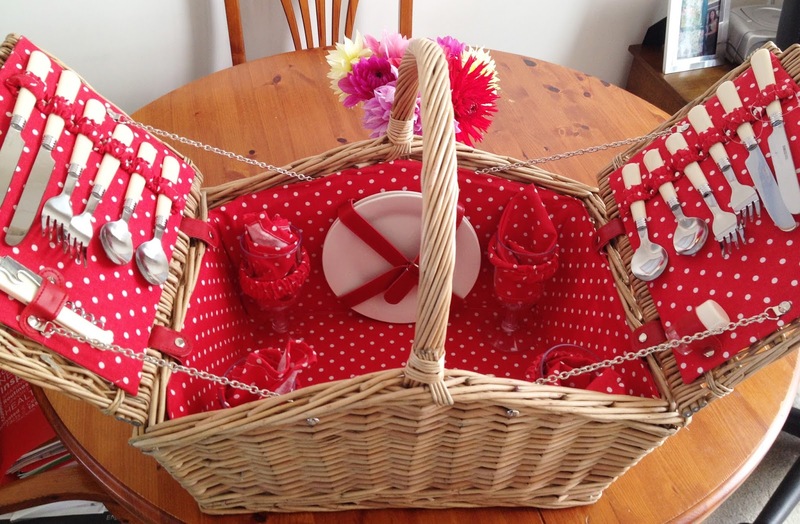 My basket looks so retro and chic with the red and white polka dots - I love it! 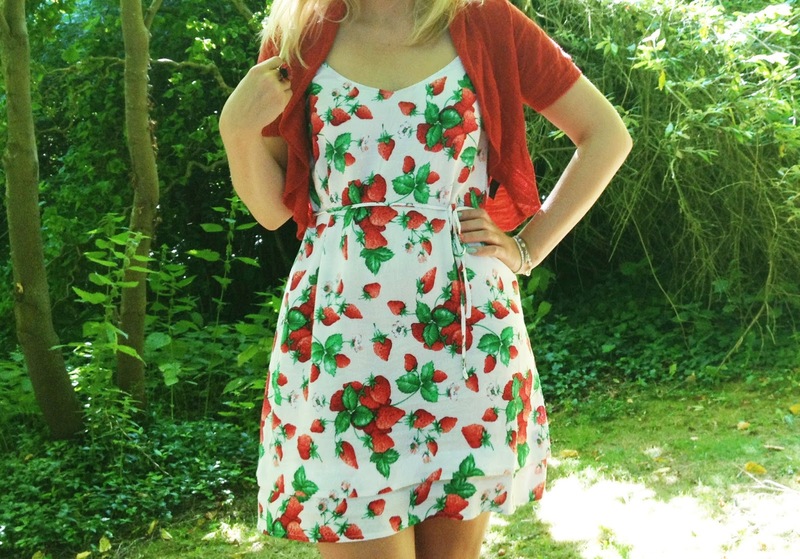 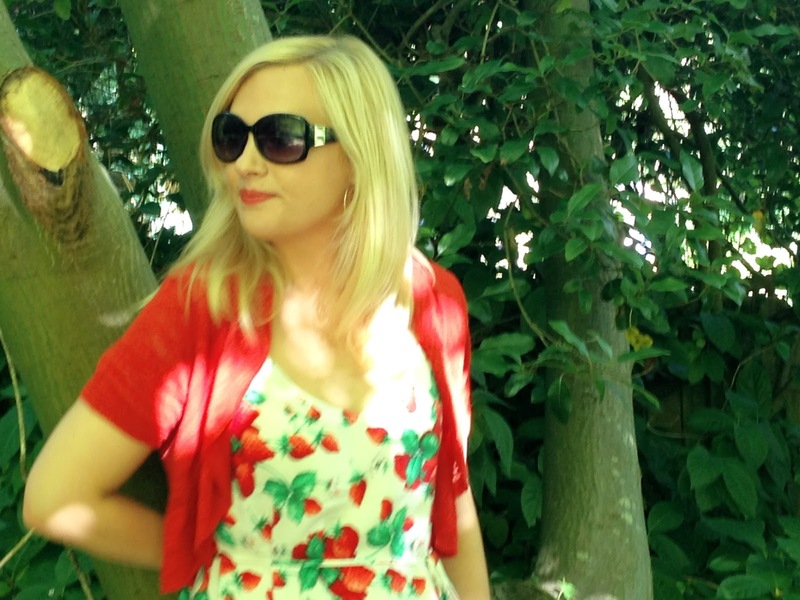 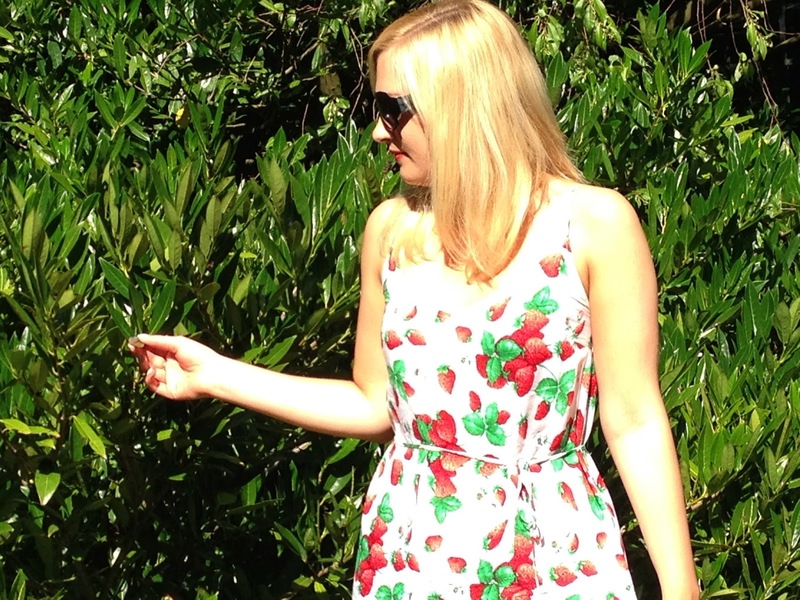 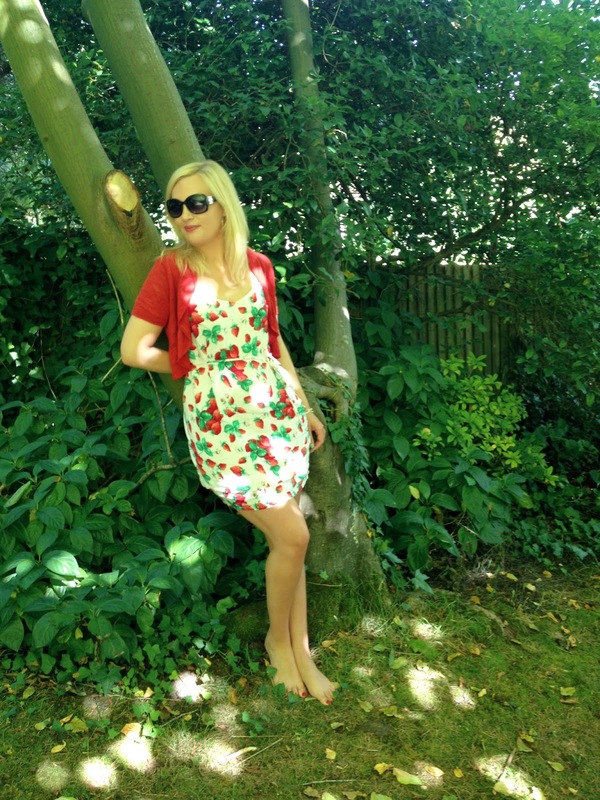 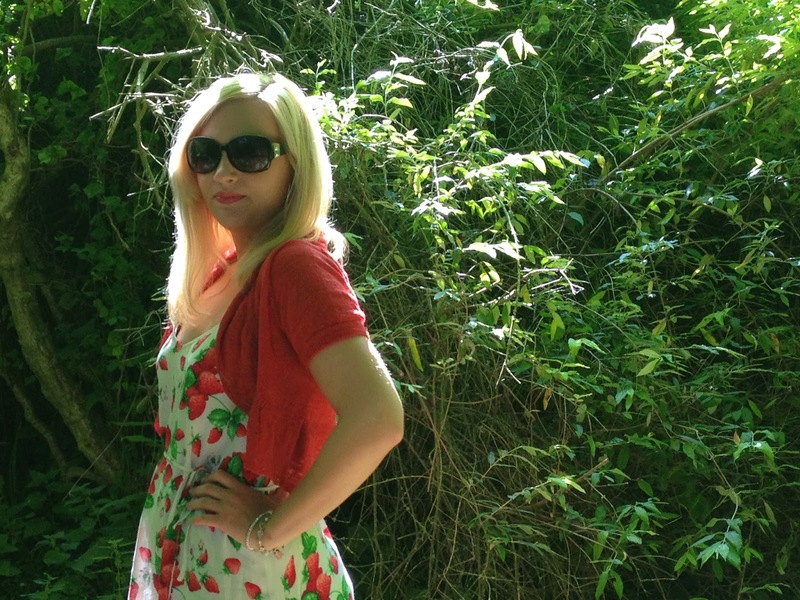 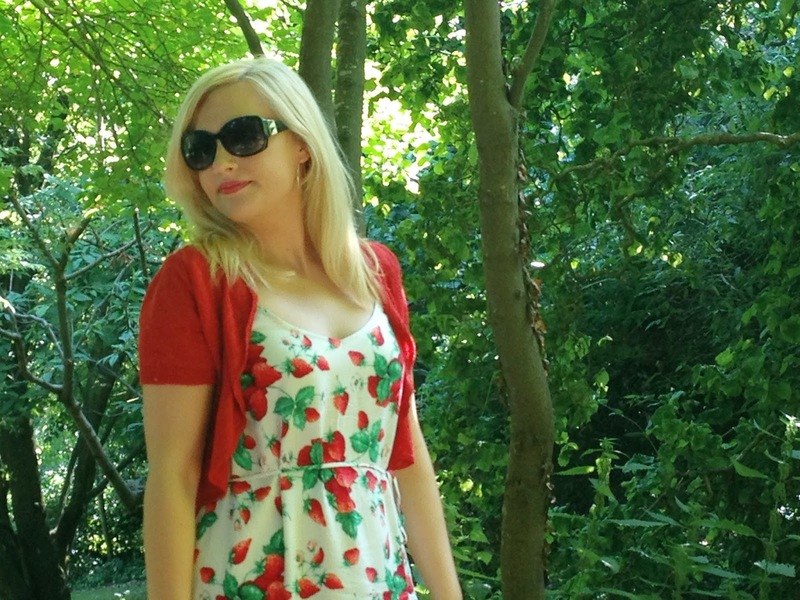 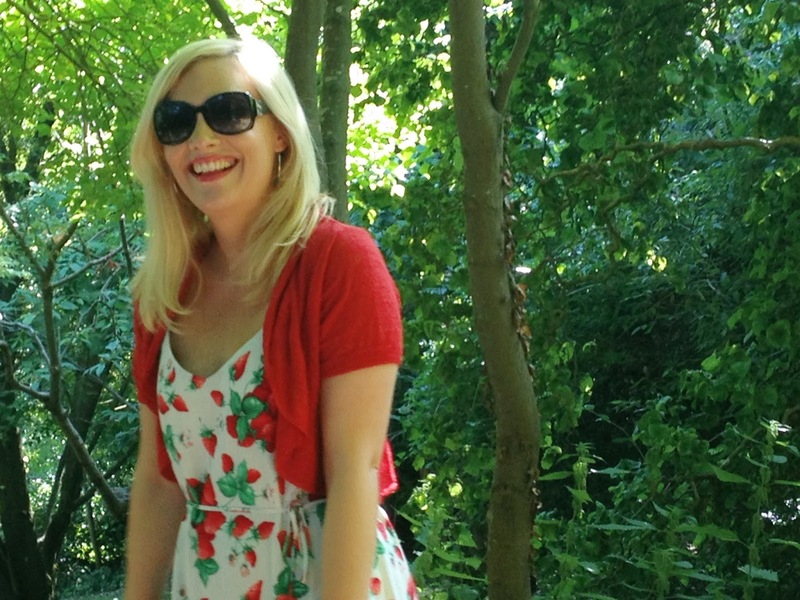 I wore this gorgeous strawberry printed sundress from Oasis for a lovely afternoon picnicking in the sun at Highdown Gardens in Sussex. 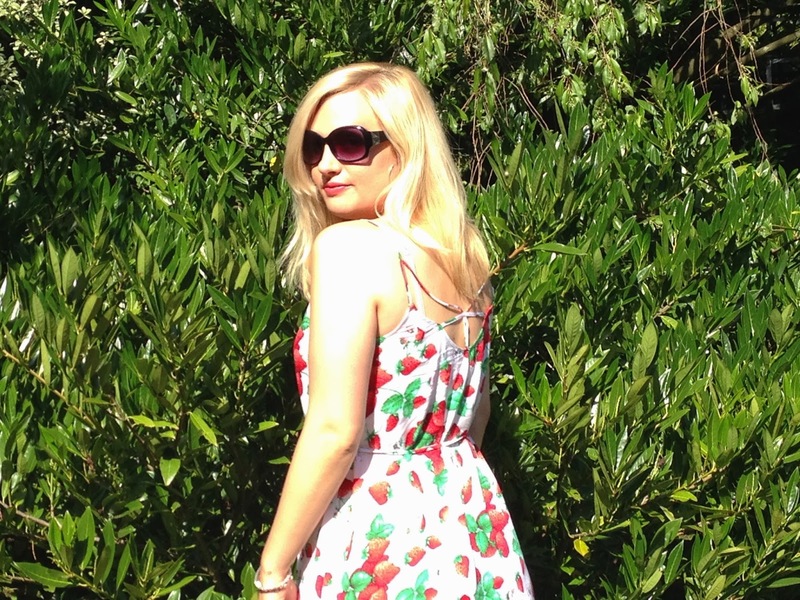 The little criss-crossed back detail is so cute and its really light weight for summer. 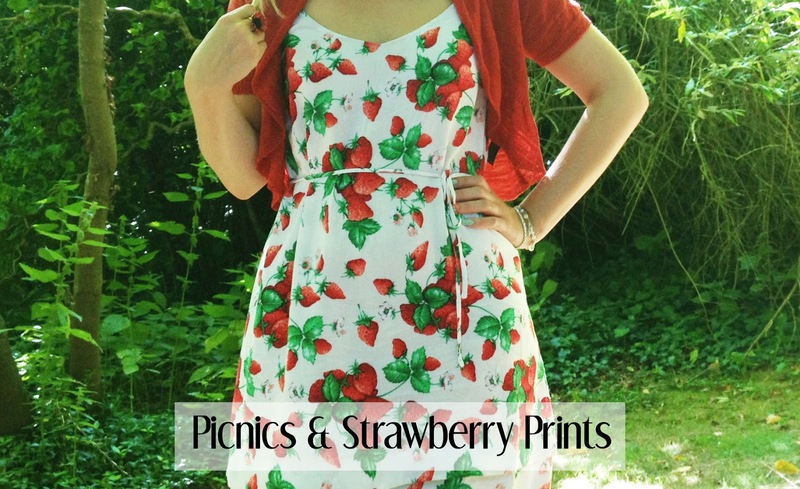 I think it would also be an adorable print to wear to an afternoon tea.